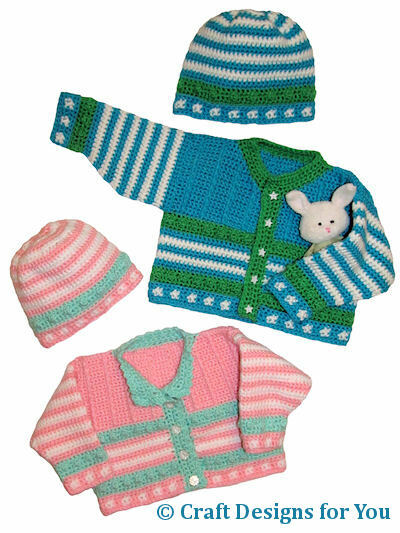 Darling cardigan and hat sets to crochet for baby, featuring happy, colorful details! Crocheted with #4 worsted weight or aran yarns, for sizes 6-12 months: 21 in chest and 14 in hat circumference and 1-2 years: 23.5 in chest and 16 in hat circumference. Full line by line instructions and schematics included.